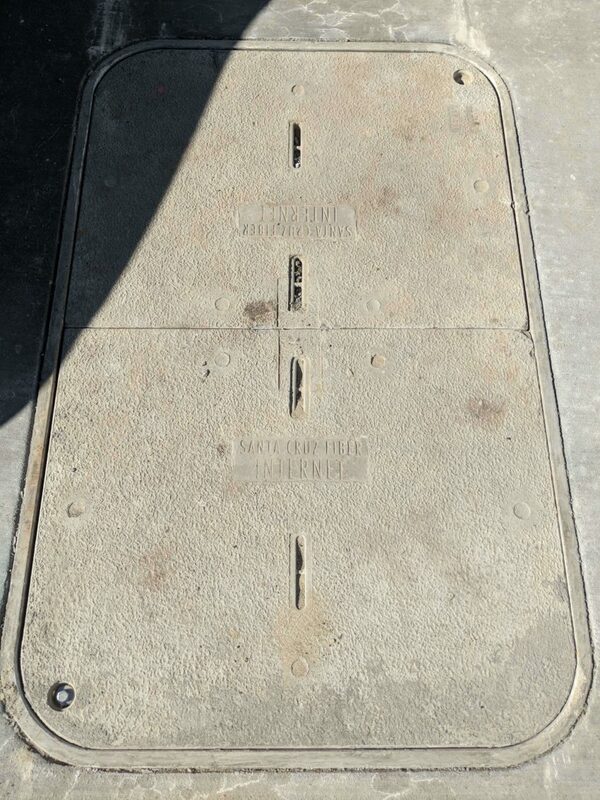 It’s been a couple of weeks since our last construction update, and it’s about time we gave you another look into how the work on our Santa Cruz Fiber project is progressing. 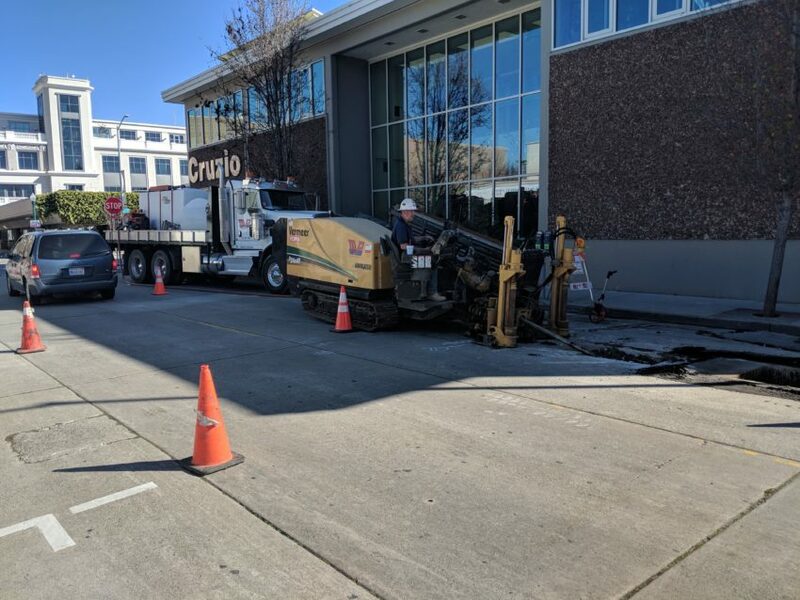 Our downtown Santa Cruz Fiber build is proceeding apace, and last week we completed directional boring on Church Street, right next to our own HQ. 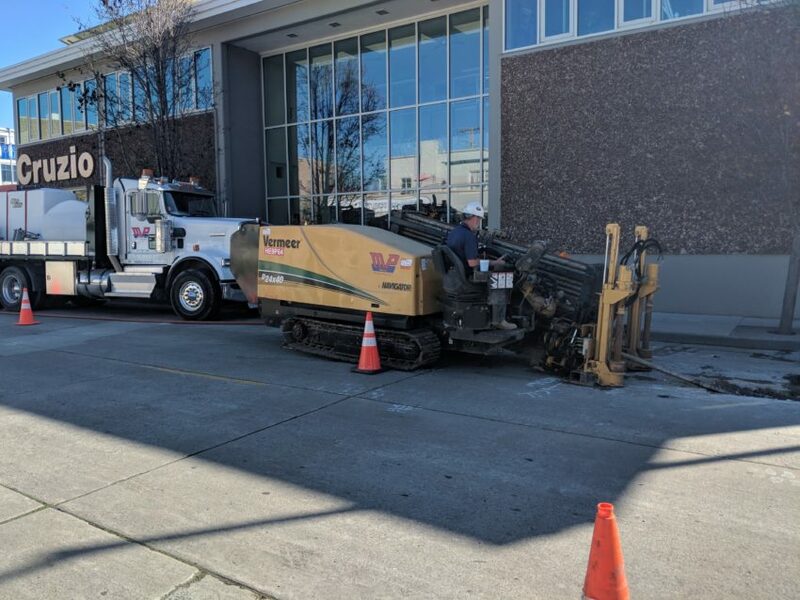 We already had some conduit here that we’d put in place a while back using the city dig once policy, so we’ve already had some of the work done ahead of time. (Thank you past Cruzio!) Also, that big Santa Cruz Fiber box that was basically a hole in the ground in our last update is now completed, and it looks fantastic! 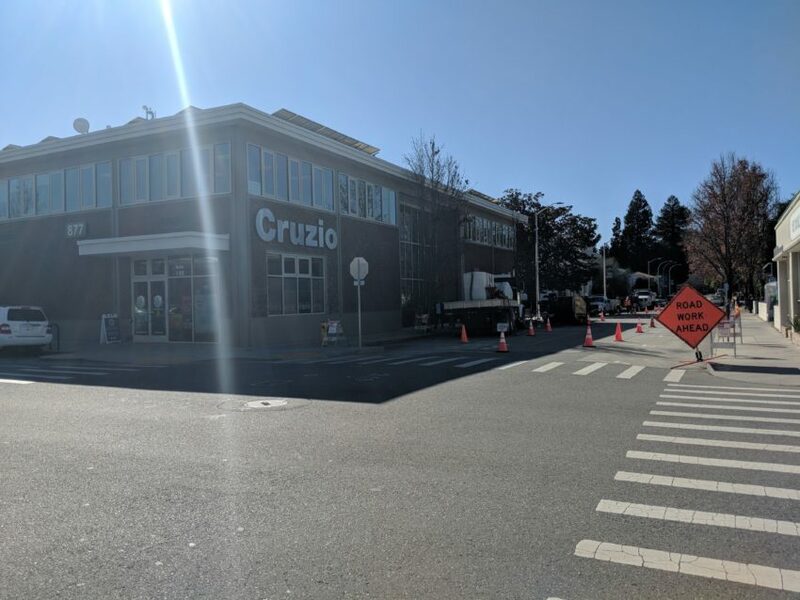 The Cruzio building will be the hub of the SCF network and in our parking lot we’ll have a cabinet where all the individual fibers will converge. From here the crews are moving on to finish up the rest of Cedar St, then they’ll move onward to N. Pacific and our friends at the El Rio Mobile Home Park. We’ll have more on that in our next update. Stay tuned!